There are many articles on the web which talks about how to get more Twitter followers. Also there are many small and medium companies offering Twitter training, books etc, all pointing to the same strategy, post quality content and keep your account live! The one and only solution for getting more followers. Now the question is can I automate posting good content to my account? Yes you can. Download TweetTwain which is freely available @ tweettwain.com , a virtual social media manager for small and medium business users. TweetTwain will automatically post latest news containing your keyword at regular intervals! So, your account will be updated with quality content, thus more followers! Read the below article to know which platform is better for business users, Twitter or Facebook: Twitter or Facebook for Social Media Marketing? 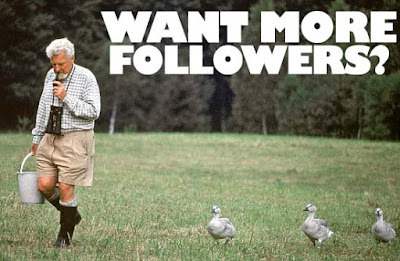 Want more followers in Twitter? Click here! Very helpful solution for social media marketing. Thanks for share with us.